This column highlights recent diabetes clinical trial data and landmark trials to provide relevant information and links for obtaining trial data and articles to facilitate discussion with patients and other providers. Each trial will be identified by its acronym, its ClinicalTrials.gov Identifier (NCT Number) and its journal reference. One component of “publication bias” is the publication of positive results but not of negative results. Recognition of this deficiency in scientific publication has led to the requirement that all interventional trials involving human subjects be registered in a public database such as www.clinicaltrials.gov or one of the partner registries for the WHO (World Health Organization) Registry network (who.int/ictrp/network). Furthermore, WHO has recommended that all trials be published within 12 months of completion. Journal Watch has thus far focused on presenting information about clinical trials that are anticipated to change the practice of diabetes management. However, it is just as important to have a resource for information about negative, or unsuccessful, trials. Patients often come in with questions about compounds in development for which we do not have any data or for which we are unaware that development was stopped. For this reason, we present here a series of studies in which the first yielded promising data, but the subsequent Phase 2 studies, which are not yet published, did not show any benefit, leading to cessation of the drug development program. They are described here to provide knowledge of the program and awareness in case a patient in severe pain from diabetic neuropathy asks about this option. Other studies are ongoing to test amitriptyline and capsaicin cream, as well as novel compounds such as a sodium nitrite slow release tablet (NCT02412852). These four clinical trials began with the demonstration that topical clonidine gel provided pain relief for painful diabetic neuropathy: “A Multicenter, Randomized, Double-Blind, Parallel-Group Study Comparing the Efficacy and Safety of Clonidine Topical Gel, 0.1% with Placebo in the Management of Pain Associated with Painful Diabetic Neuropathy (NCT00695565).” This was an important study because diabetic neuropathic pain is a very frustrating complication that can severely impair quality of life. The compound then was licensed, and three studies (two short-term and one long-term) were initiated to obtain an indication for treatment of painful diabetic neuropathy. On Dec. 13, 2016, the sponsor, BioDelivery Sciences International, Inc. (BDSI), announced that its Phase 2b clinical study assessing the efficacy and safety of clonidine topical gel for the management of painful diabetic neuropathy failed to show a statistically significant difference in pain relief between the gel and placebo. As a result, BDSI discontinued further development of the product. The studies are described here to provide information regarding the trial design and as a resource if a patient asks about it or if you are planning a study addressing painful diabetic neuropathy. Primary Outcome Measures: Change from baseline to week 12 in the average daily pain NPRS (numeric pain rating scale) score; mLOCF imputation [time frame: baseline (average of days—7 to -1) and week 12 (average of days—78 to 84)]. Pain in the feet was scored daily at bedtime by the subject on a 0-10 numeric pain rating scale through day 84. 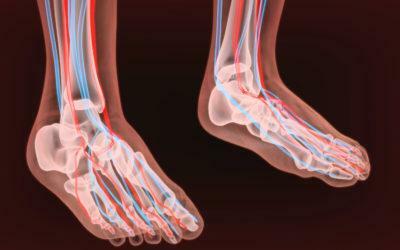 Subjects were asked to record average pain in the feet over the past 24 hours. A score of 0 indicated no pain and a score of 10 was worst possible pain. The change in pain is represented as week 12 minus baseline, so greater negative numbers represent more improvement (more pain relief). Publication of Results: Campbell CM, Kipnes MS, Stouch BC, Brady KL, Kelly M, Schmidt WK, Petersen KL, Rowbotham MC, Campbell JN. Randomized control trial of topical clonidine for treatment of painful diabetic neuropathy. Pain. 2012 Sep;153(9):1815-23. doi: 10.1016/j.pain.2012.04.014. Brief Summary: Study CLO-291 is a randomized, double-blind, comparator-controlled, parallel-group, multicenter study of 0.1% clonidine topical gel (clonidine gel) for the treatment of pain associated with painful diabetic neuropathy. The study will include three (3) phases: screening phase, treatment phase and follow-up phase. Subjects who satisfy all eligibility criteria will apply clonidine gel comparator to their feet three times daily and will record their daily pain scores using an interactive voice response system (IVRS). Approximately 100 adult subjects have been randomized to receive clonidine gel or clonidine gel comparator during the 12-week treatment phase. Brief Summary: The purpose of the study is to determine whether clonidine gel is an effective treatment for reducing the pain associated with painful diabetic neuropathy. Two hundred and sixty adult subjects have been randomized to receive clonidine gel or placebo during the 12 week treatment. Primary Outcome Measures: Overall adverse events: the number and percentage of subjects reporting any untoward medical occurrence, any untoward medical occurrence thought to be study drug related and any untoward medical occurrence that leads to study discontinuation. Brief Summary: Study CLO-311 is a multicenter, open-label, single-arm study to assess the long-term use of clonidine gel in the treatment of pain associated with painful diabetic neuropathy (PDN). Subjects who have completed their 12-week participation in study CLO-290 or study CLO-310 are eligible to roll over into this study and receive active study drug in an open-label manner. All eligible subjects will receive clonidine gel regardless of the blinded treatment they have received in the previous double-blind study (clonidine gel or placebo). Study drug will be applied topically three times per day to both feet for 12 months during an open-label treatment phase. Approximately 400 adult subjects with PDN are expected to enroll in this study.